Dan Barker's new book (titled after the famous Richard Dawkins quote) doesn't exactly cast a flattering eye at the biblical god. Truth be told, the Bible itself doesn't flatter God, either. Not-so-hidden inside the pages of scripture is the profile of a deity so ugly, brutish, bloodthirsty and petty, he would be condemned by the faithful as a monster in another context. 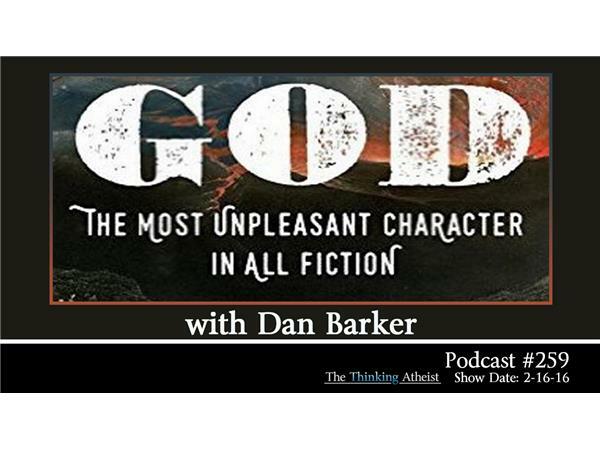 Join us, as we speak with Dan Barker about his own personal story, and we examine The Most Unpleasant Character in All Fiction.